Ethiopia, officially known as the Federal Democratic Republic of Ethiopia, is a country located in the Horn of Africa. 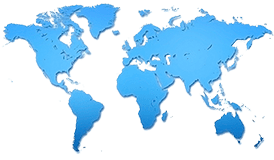 It is bordered by Eritrea to the north and northeast, Djibouti and Somalia to the east, Sudan and South Sudan to the west, and Kenya to the south. 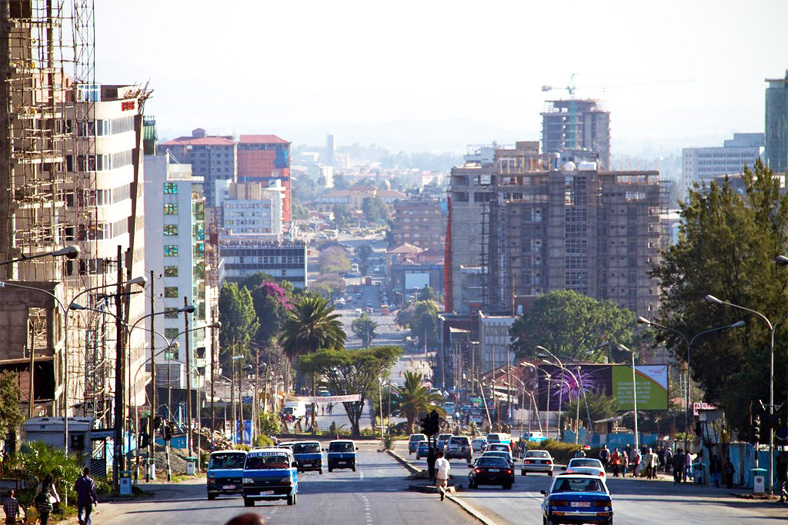 With over 100 million inhabitants, Ethiopia is one of the most populous landlocked countries in the world, as well as the second-most populous nation on the African continent after Nigeria. It occupies a total area of 1,100,000 square kilometers (420,000 sq mi), and its capital and largest city is Addis Ababa. The Ethiopian economy is dominated by the agriculture and services sectors with each accounting for about 45 percent of gross domestic product (GDP), leaving only about 10 percent for industry, of which manufacturing accounts for about 6-7 percent. Exports are highly concentrated, with coffee alone accounting for more than 60 percent of the total. Moreover, Ethiopia could hardly be located in the international market for manufacturing exports, having an industrial export share much less than the already minuscule median for Africa. The limited change in the structure of the economy, especially with regard to manufacturing, is partly explained by the low levels of investment flows and the sluggish growth of the private sector, which was too little to affect its historically low share in labor-intensive manufactures. Overgrazing, deforestation, and poor agricultural practices have contributed to soil erosion , particularly in the Tigray and Eritrea regions, that substantial areas of farmland have been lost to cultivation. The population of Ethiopia is around 102.4 million. The growth rate is estimated at 7.6%. Of the current population, 46% fall within the 1-14 age range; 51% between 15 and 64; and 3% are over 65. Approximately 17% of the population is estimated to live in urban areas. The major health problems of the country remain largely preventable communicable diseases and nutritional disorders. Despite major progresses have been made to improve the health status of the population in the last one and half decades, Ethiopia's population still face a high rate of morbidity and mortality and the health status remains relatively poor. Life expectancy is currently at 64.58 years. Infant mortality rate is 59 every 100 live births. 90% of child deaths are due to pneumonia, diarrhea, malaria, neonatal problems, malnutrition and HIV/AIDS, and often a combination of these conditions. Ethiopia affirmed its independence from Italy after its victory in the Battle of Adowa in1896, and retained its independence through strong leaders and key alliances with other European powers. Nevertheless, Ethiopia was colonized prior to World War II by Italian forces in 1936, and not liberated until the 1940s. Ethiopia spent $329,000,000 on their military in 2012 which amounted to 0.8% of the country's GDP that year. Natural resources: gold; platinum; copper; potash; natural gas; hydropower Agriculture: maize; sorghum; wheat; teff; livestock and dairy products Industry: small-scale consumer goods; Exports: $3.163 billion; Imports: $15.87 billion.